The NP Series is the newest Pure Sine Inverter Charger line from Dimensions. This series is available in 12, 24, and 48VDC input with AC output power ranging from 1000-3600 watts. The Power Factor corrected Charger puts out up to 60-150 amps DC depending on the model. Most models are UL/CUL 458 Listed and feature easy to use DC and AC connections. Dimensions is well known for its robust products and this new Inverter/Charger takes our quality designs to an even higher level. These units pack a lot of power in a relatively small sized footprint in two chassis sizes and retain their cool with a processor controlled variable speed fan. 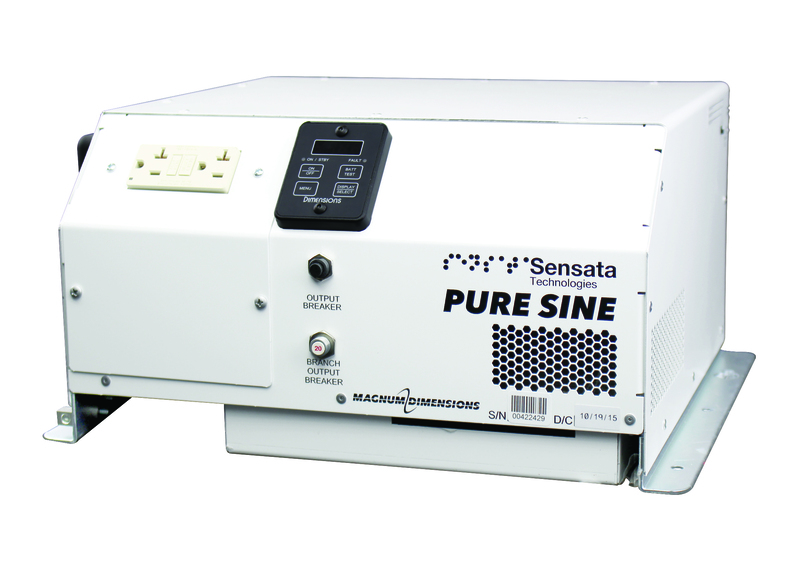 The Pure Sine Inverter is built to withstand the high output surge demands of motors, pumps, and other tools while providing high quality power for your sensitive electronic devices. The Charger is Power Factor corrected which means that it will make the most of incoming AC power to efficiently charge your batteries. Each system comes with an easy to use 7-segment LED display. The display provides status, input/output values, programming, and troubleshooting information. The display can also be used as a remote for use in another part of the vehicle by ordering an extension kit.